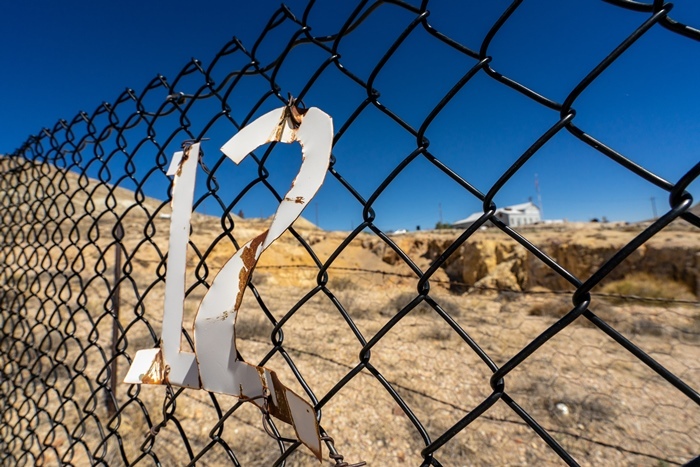 You’ll probably be looking for an excuse to take a break from the long drive across Nevada, no matter which way you’re going as you arrive in Tonopah. Thankfully, there’s a lot to see here, including a charming downtown district. 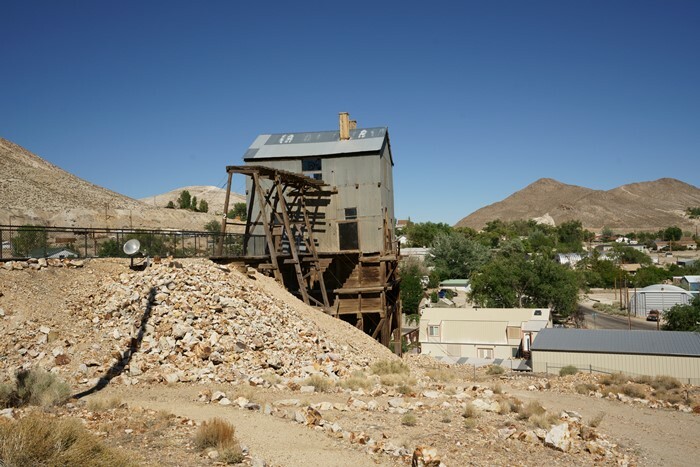 But the big attraction is the Tonopah Mining Park — a ghost town of sorts that’s just as big as Tonopah itself. Tonopah is located in the middle of Nevada, at the intersection of US 6 and US 95. It’s 50 miles from the northern end of the Extraterrestrial Highway (to the east) and 100 miles to Hawthorne, the next sizeable town, to the northwest. 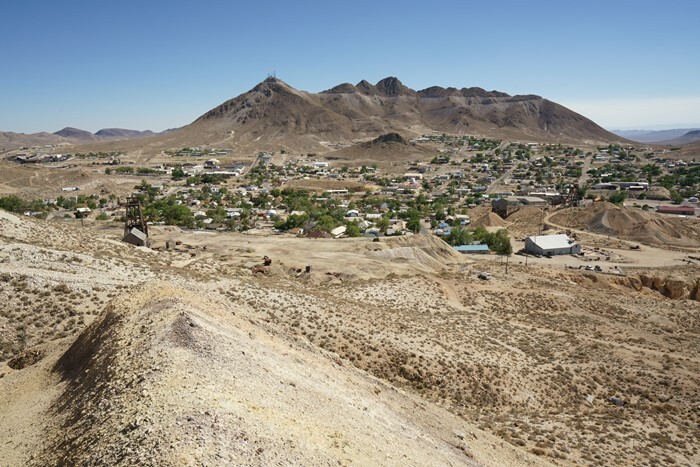 Tonopah is about 200 miles north of the outskirts of Las Vegas. 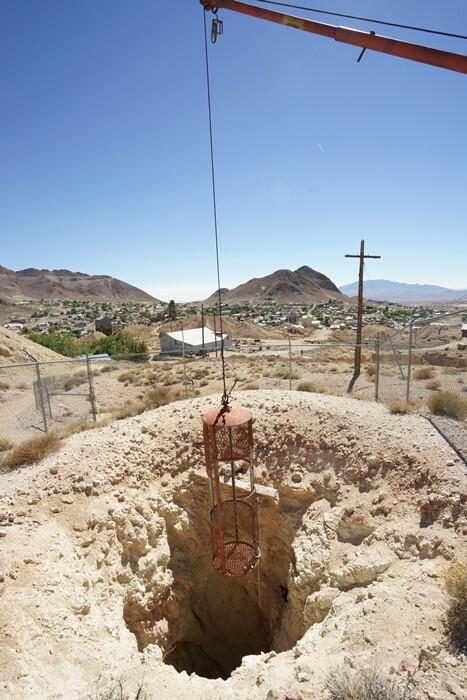 The entrance to Tonopah Mining Park is located one block north of Main Street. At the curve in the middle of town, turn onto one-way Brougher Avenue, then turn left on Burro Avenue and look for the sign at the entrance. 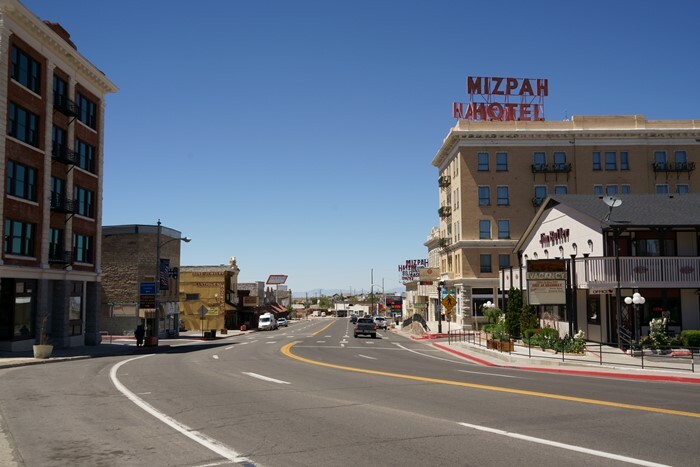 US 6 and 95 form Tonopah’s Main Street. After gassing up (you don’t leave a town like this with anything less than a full tank), I found a parking spot and walked along the road. There are still quite a few businesses in operation along Main Street. 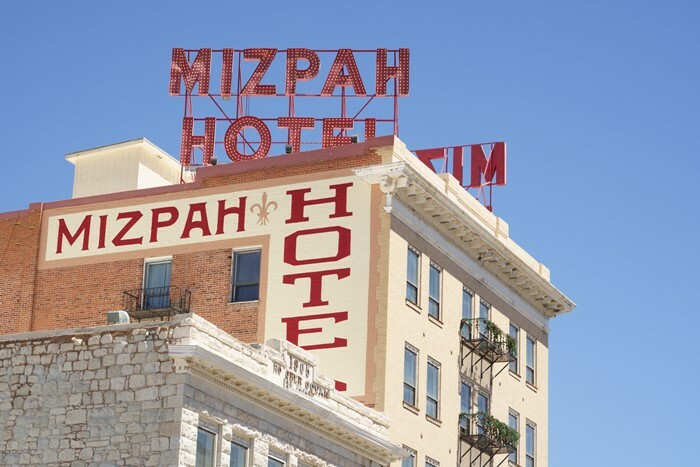 The most notable is the Mizpah Hotel. It was built in 1907 and restored in 2011, thanks to a couple from California. The hotel offers 52 rooms with rates starting around $100 (as of 2018). It’s worth walking inside just to see the decor. I also stopped and paid my respects to Big Bill Murphy. 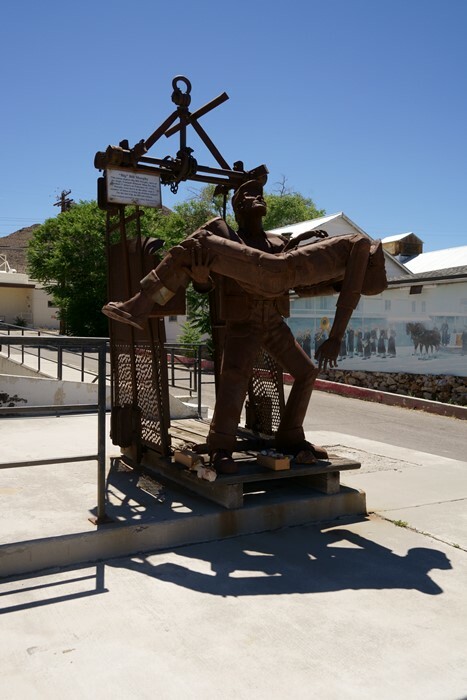 A sculpture of him stands near the Tonopah post office. 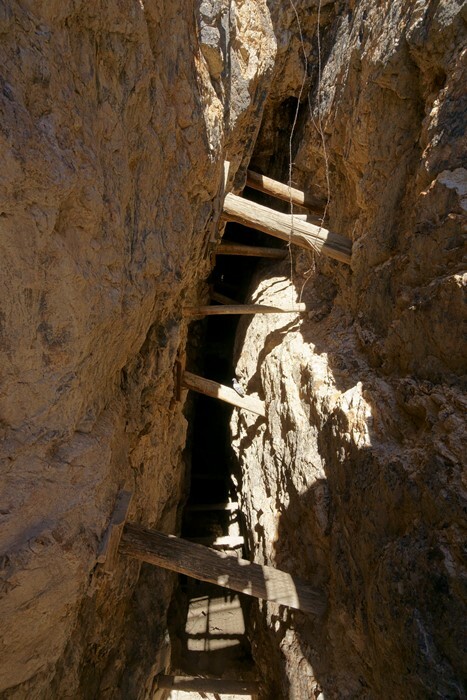 As the legend goes, during a fire in the Belmont Mine in 1911, Murphy found one entrance blocked, so he ran around to another entrance on the opposite side of the mountain. Once there, he made repeated trips in and out of the mine, pulling men to safety. On his last trip into the mountain, he did not return. On the north side of downtown, Mount Oddie looms over Tonopah. 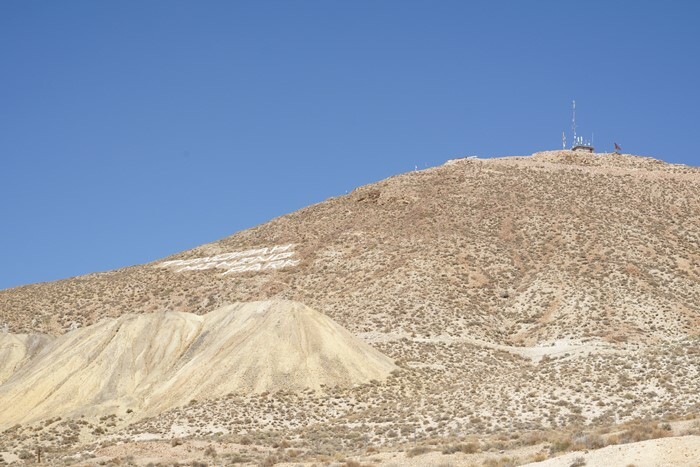 It’s the mountain with TONOPAH MINING PARK written on the side in big letters. The historic park fills the land below. Sure, it was hot. It was, after all, Nevada in late June. 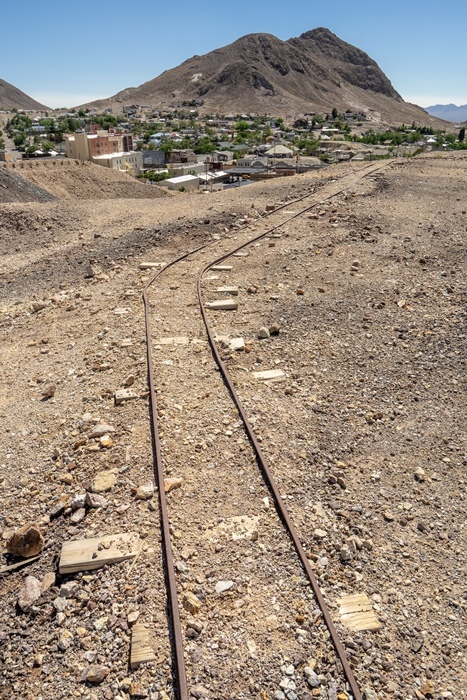 But I decided that the Tonopah Mining Park was probably the most interesting thing I’d find during my drive, so I gulped down some water, paid my admission, and went for a very warm walk. 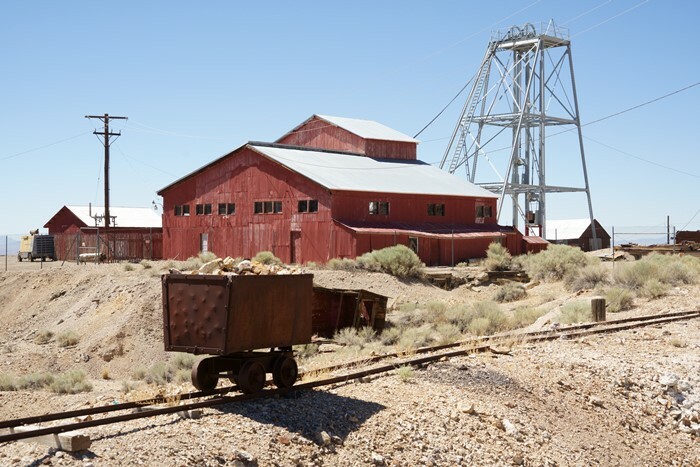 Admission to the Tonopah Mining Park is $5 for adults, with discounts for seniors and children. Stop inside the visitor center to pay your admission fee. 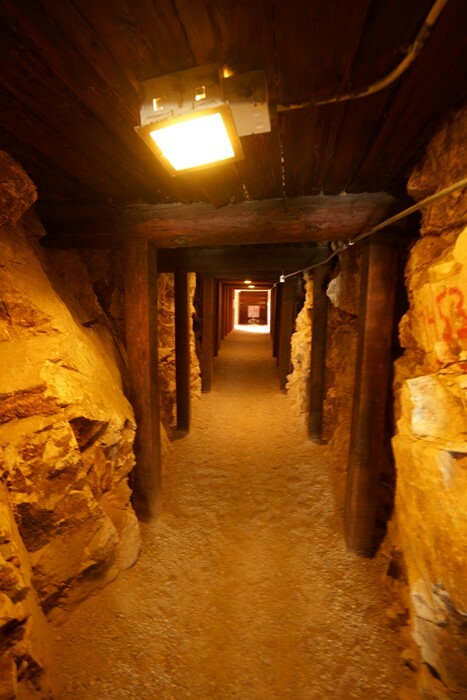 From the visitor center, you can go three directions: northwest towards the Mitzpah Mine, south towards the Silver Top Mine, or northeast, which involves going uphill to the Desert Queen Mine and, eventually, the letters on the side of Mount Oddie. I decided to go towards the Mitzpah Mine first, which involves walking around the Glory Hole — a giant crater formed by the collapse of a mine stope, back in 1922. 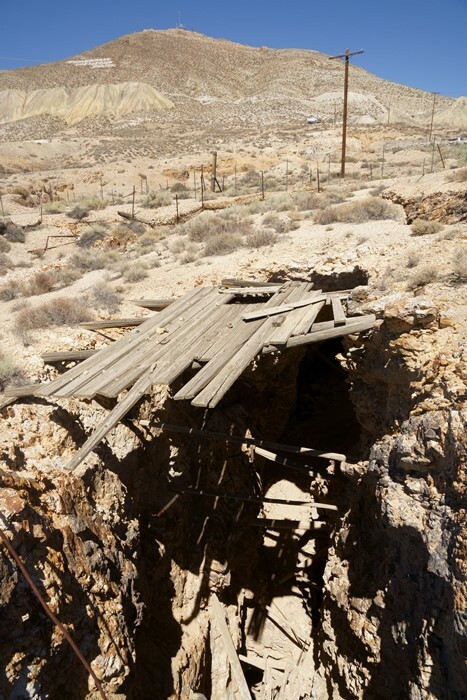 A stope, in case you didn’t know, is the open space left behind by mining ore. On the way down to the Mizpah Mine, you’ll be able to walk over a bridge that crosses a stope. … that ends in the middle of a stope. 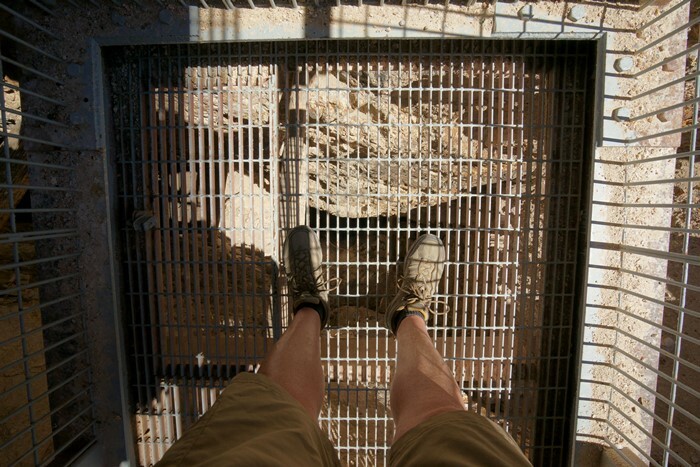 You can step out into a metal cage, with a deep gash in the earth below your feet. … and stare down into the depths of the earth. 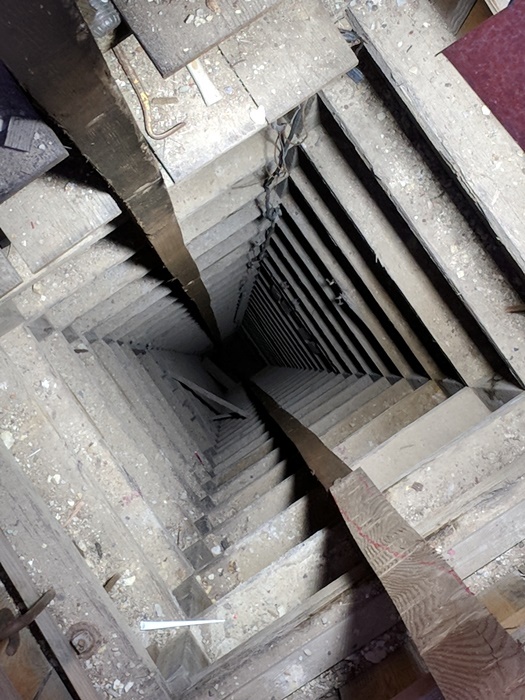 This 600-foot-deep mine shaft is lighted, allowing you to see some of the way down to the bottom. There’s a metal grate over the top of it, so you can stand directly over it. … as well as this exhibit on the harsh living conditions of early miners. The rest of Tonopah is always nearby. That’s Brougher Mountain on the other side of town. I headed back to the parking lot, gulped some more water, and decided to tackle the uphill hike to the Desert Queen Mine next. … by a rescue truck. 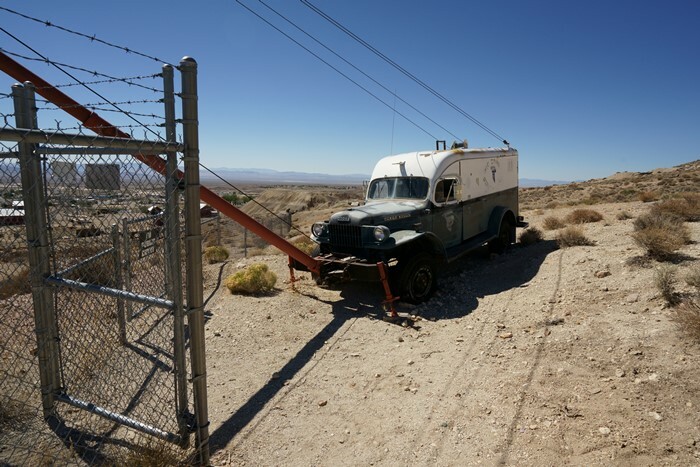 You can check out this old Nye County rescue vehicle up-close, but the mine shaft is fenced off. 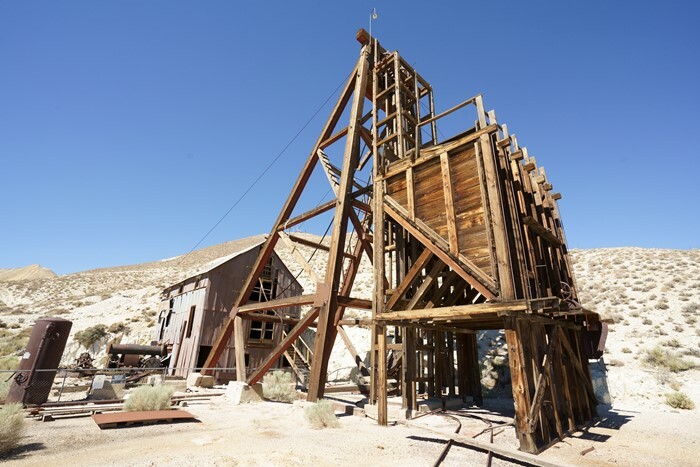 About halfway up to the big letters, the trail levels off for a moment, and you can hike over to the Desert Queen Mine and hoist house. The structure itself is fenced off, but you can still enjoy an up-close look. 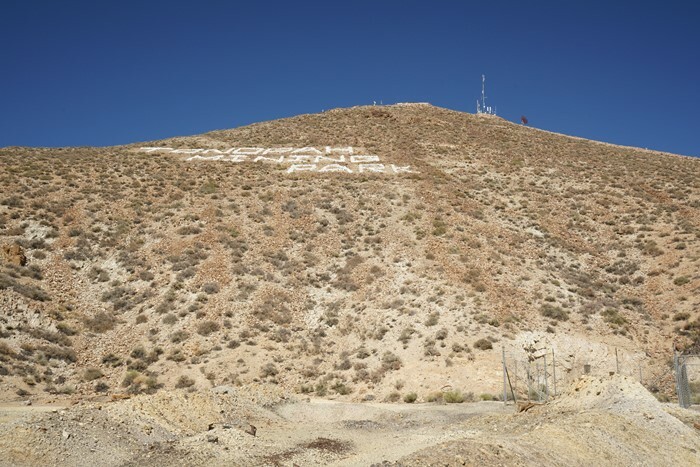 … until you’re directly below the Tonopah Mining Park letters on the side of Mount Oddie. There is probably a way to climb all the way up to the letters, but I was satisfied with this spot. You may recall, I mentioned this is Nevada. And June. And quite warm. The best reason to make the hike up the hill is for the view. Up here, you can see all of the Tonopah Mining Park, and all of the town of Tonopah, Mount Butler in the distance, and a whole lot of empty desert beyond that. There are also some remnants of the North Star Mine up here, but they’re not very impressive. I headed back downhill and rehydrated once again. I was about ready to leave, but there was one corner of the park I hadn’t seen yet. And I was already sweaty, so why not? The Silver Top Mine, hoist house, and grizzly are a short walk beyond the opposite side of the visitor center. It operated from 1902 to 1948. 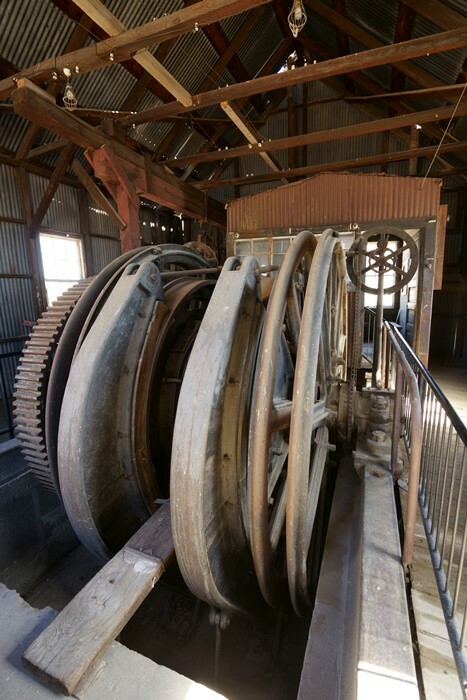 You can step inside the hoist house for a look at the machinery that lowered and lifted men and ore from the ground. It’s all preserved in a state of “arrested decay”. The “grizzly” is a separate building, where workers hand-sorted ore. The park employee at the visitor center told me it was her favorite building here at the park — and then told me that it was closed. The park’s brochure says the grizzly is just one of a couple of complete facilities of its type that remain in the west — which makes it even more unfortunate that I couldn’t go inside. That wrapped up my visit to Tonopah. 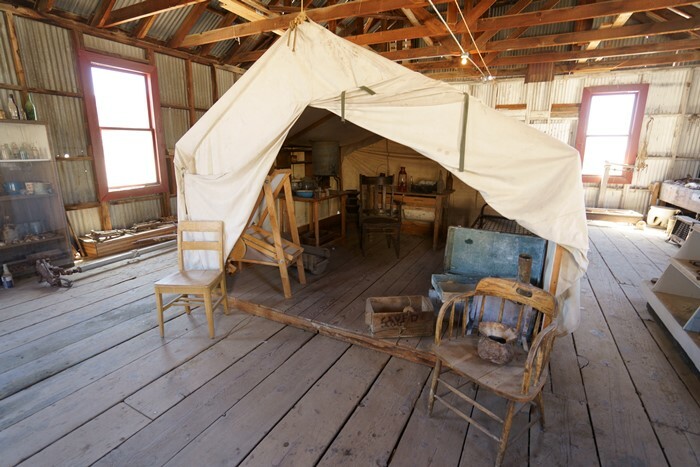 I had a reservation for the night in the next town up the road, Hawthorne, but the truth is, it would have been more interesting to stay in Tonopah. 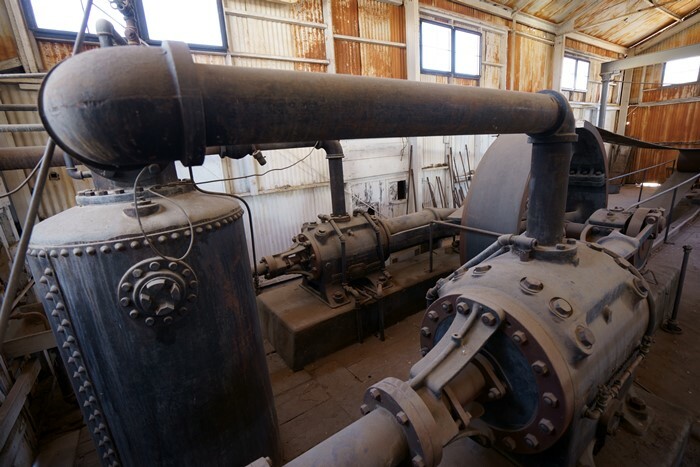 You don’t have to see everything at Tonopah Mining Park to make the visit worthwhile. There were a few other visitors there while I was there — but nobody else was hiking up the hill. So, don’t let the heat scare you off. 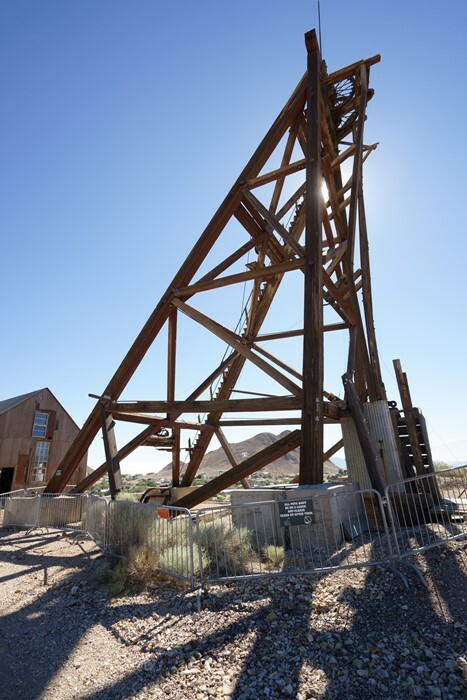 There’s plenty to see, and a lot to learn about Nevada’s mining history, with a visit to the Tonopah Mining Park.